Worksite wellness, also called corporate wellness, may be the solution to sedentary lifestyles. And gyms—a natural partner—stand to benefit. As of July 2018, there were nearly 130 million adults working in the U.S. alone. And, as of 2016, there were over 178 million full-time workers in the EU. In many countries, workers spend approximately 50% or more of their waking hours at on the job. In developed countries, this often means sitting for long periods of time. Meanwhile, physical inactivity, obesity, and chronic disease risk have increased in developed countries. The sedentary nature of many modern jobs and the amount of time workers spend at work have made the workplace both a contributor to poor health habits and an ideal venue to offer programs to promote healthy behavioral changes. But, as a health club operator, you have an opportunity to effect change. Health clubs provide a solution to one obvious workplace health issue: physical activity. 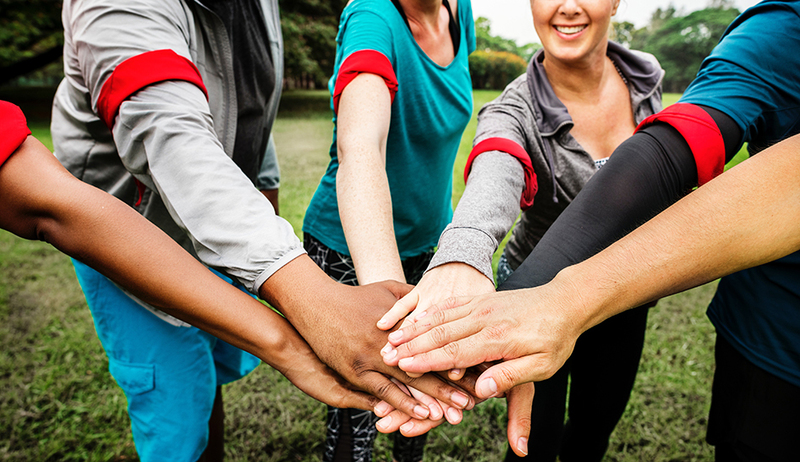 Here are three reasons clubs should consider adding worksite wellness (also called corporate wellness) to the top of their to-do list. 1. More companies are focusing on wellness. Many companies get it. According to the Society of Human Resource Managers (SHRM), 75% of employers offer some sort of wellness information or general wellness program, and 66% of employers report broadening their wellness offerings. A National Business Group on Health (NBGH) survey found that 67% of surveyed companies plan to expand their programs over the next three to five years. According to the 2014 Global Wellness Survey, 79% of U.S.; 46% of Latin American, European, and Asian; 38% of African; and 47% of Australian businesses provide health promotion offerings to employees. 2. Employers are motivated to spend money on health and wellness. And for good reason—according to SHRM, costs due to missed work and resulting productivity loss translate to about $1,685 per employee every year. The NBGH survey found that employer incentives averaged around $784, up 50% from 2013. It also found that 86% of companies reported offering financial incentives as part of their wellness packages. The global workplace wellness industry was worth $43 billion USD in 2015, growing 6.4% over the previous two years. Yet employers aren’t necessarily looking for vast health cost savings. Most companies are seeking more engagement for employees and increased productivity. 3. Clubs are a natural partner in workplace wellness. According to Corporate Wellness Magazine, “the main issues driving wellness strategies globally are physical activity and stress.” The SHRM survey revealed a 10% increase in company-organized fitness challenges or competitions between 2017 and 2018, with 38% of employers reportedly offering them. Access to experts such as dietitians, trainers, physical therapists, etc. Gyms can offer a variety of workplace wellness programming and services, tailored to employers’ and employees’ needs. To learn more about offering successful, engaging corporate wellness programs, see our latest resource How to Run Effective Corporate Wellness Programs.